New home sales in the United States jumped to 619,000 for April, 2016, a 16.6 percent increase. That’s much higher than expectations, and the increase is the biggest gain since 1992. 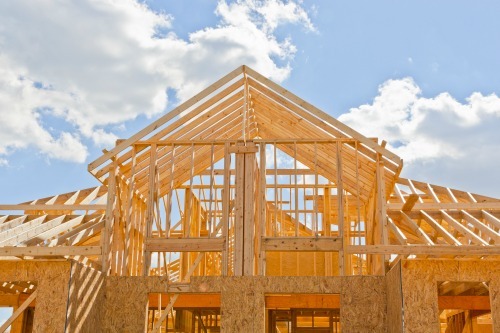 If you’re considering the purchase of a new construction home, here’s the information you need to start your home search. 1. Pick the right neighborhood – There are lots of new communities being built in the Washington, DC, Maryland and Northern Virginia areas. Make sure you choose the community that will fit your lifestyle best. 2. Understand the details before you make a final decision. Most new communities will have a home owners’ association that will take over managing the community after the builder has finished construction. Associations can have vastly different fees and rules. Make sure you understand everything that will impact what you can do with your home, and the home owners’ association fees that you’ll pay. 3. Negotiate with the builder from a position of strength. Make sure you understand when a builder has room to negotiate. While you want to establish a good working relationship with your builder, don’t let that relationship deprive you of getting a good deal. 1. There is no cost to you. The REALTOR® who assists you in your sale is compensated as part of the closing costs on the home. The builder has already factored that into their pricing, so if you don’t have your own representation, the builder will simply retain that fee. 2. You can work with one person to evaluate all your options. The builder’s representative that you meet at the model homes in a new community work for the builder. It’s not possible for that person to suggest a different community, even if they believe it’s a better fit for you. When you hire a REALTOR® to represent you, you’ll get unbiased information about all your alternatives. 3. You’ll improve your negotiating position. A REALTOR® who works with new home buyers should have an in-depth understanding of where a builder will have room to negotiate. That person can also advise you as to which options will have the best opportunity for appreciation when you decide to sell your home. There are a growing number of new home communities in the greater Washington, D.C. area. The communities discussed below only give you a few examples of the types of lifestyles and homes you can choose from. Banneker Ridge by Ryan Homes: The luxury brownstones in this community will give you an excellent view from the rooftop terrace. These are four and five level homes that offer delightful downtown living with easy access to commuter routes. Home prices start in the low $700s. The Willard plan offers the convenience of a townhome with the feel of a single family home. Over 3000 square feet of living space gives you quite a lot of room to roam. The kitchen is a chef’s dream with a huge island and upscale finishes. The kitchen is open to a large formal dining room perfect for entertaining family and friends. At the opposite end of the kitchen, you’ll have access to a great room. You can entertain while you cook, and enjoy an after-dinner retreat. The lower level can be used as a recreation room, or if you have guests or members of your extended family living with you, it can be made into a living room/bedroom/bath for privacy. Parkside by K Hovnanian Homes: If you’re looking for a new townhome in a close-in location, Parkside is a community you’ll want to visit. You’ll enjoy the community park and the Anacostia River Trail network. You’ll also have easy access to stylish boutiques, the Arts District, the Minnesota Avenue Metro Station and I-295. All the townhomes in this community have three bedrooms and two and one-half baths in three stories, and a one- or two-car garage. Homes start in the upper $300s. Features include large family rooms, spacious kitchens with designer cabinets, GE appliances and rich granite countertops. You’ll find 9’ ceilings that provide a roomy atmosphere, and lovely hardwood floors. The homes utilize 90 percent efficiency gas heat with programmable thermostats. Shenstone Reserve by Toll Brothers: This community consists of luxury estate homes nestled on three or more acres of land. Located just a few minutes from downtown Leesburg, living at Shenstone Reserve provides easy access to shopping, dining and entertainment. However, you’ll feel like you’re in the country since the homes are surrounded by mature trees, rolling hills and babbling brooks. Toll Brothers is offering six different two-story home designs, ranging in size from 3420 to 4780 square feet. Home prices start in the mid-$800s. You can personalize your home’s design to meet your needs, including adding a multi-generational suite that provides privacy for members of your extended family and much more. Crescent Place by Ryan Homes: If you enjoy the convenience of living in a walkable neighborhood, you’ll love living in downtown Leesburg. Crescent Place is a small enclave of luxury townhomes and two-level luxury condos, with prices starting in the mid-$300s. You’ll be able to walk to all of the shopping, dining and entertainment that Leesburg is known for. You’ll also have easy access to major highways that can take you to work or play in Reston, Arlington and Washington D.C.
Four models are available, ranging in size from 1606 to 2440 square feet and up. You can customize the layout of your home to suit your needs. Some plans even offer a large finished attic space with a bath to be used as a retreat for a teenager, a man cave or an activity room for the whole family. If you prefer to live in the counties of Montgomery, Howard or Prince George’s in Maryland, you’ll have many new home communities to choose from. Clarksburg Village by Ryan Homes: Ryan Homes has created a lifestyle with its homes in Clarksburg Village. It’s a 775 acre master planned community in Montgomery County that offers 55 miles of trails for bicycles and pedestrians, a clubhouse with two swimming pools, several parks, dining and more. It’s a self-contained retreat that provides lots of opportunity to spend quality time with your family and friends. Three types of homes are being built in this community, townhomes, classic neo-traditional homes and neo-traditional homes. Home prices start in the upper $450s to the low $570s. The Strauss townhomes in the community offer convenience while providing lots of space (just over 2000 square feet) and customization options. The open floorplan on the main level reinforces the feeling of spaciousness and the country kitchen has an optional island for additional prep space. Upstairs you’ll find three bedrooms, including a master suite. The lower level provides lots of storage space with the option of including a rec room, a fourth bedroom or study. Oak Creek by Toll Brothers: Prince George’s County is home to this luxury gated community. Oak Creek is an easy commute, being Just 20 minutes from downtown D.C. When you come home, however, you’ll be treated to resort-style amenities that will make you think you’re far from the city. Six home designs range from approximately 3000 to over 4000 square feet. Home prices start at $625. As you can see, the Washington D.C. metro area has lots to offer. A professional and experienced REALTOR® can help you make the best choices and avoid situations that can be both frustrating and costly. When you’re ready to make a move, call/text me at 301 660-6272 x 700 or send an email to get the professional guidance that will make your next real estate transaction a rousing success.